Review: Amazing Cosmetics Amazing Concealer!! 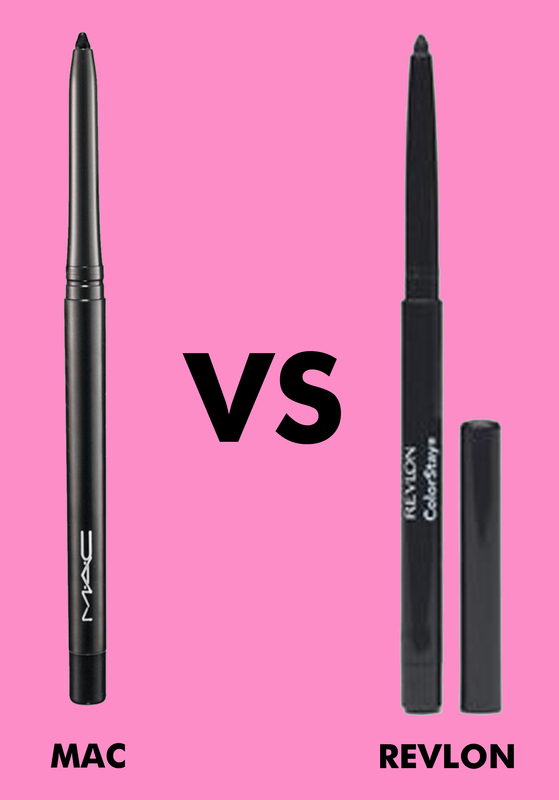 What is the reason for the hype surrounding the Amazing Cosmetics Amazing Concealer? Is it really that amazing? I purchased this product from Sephora for $42.00 CA to find out for myself. 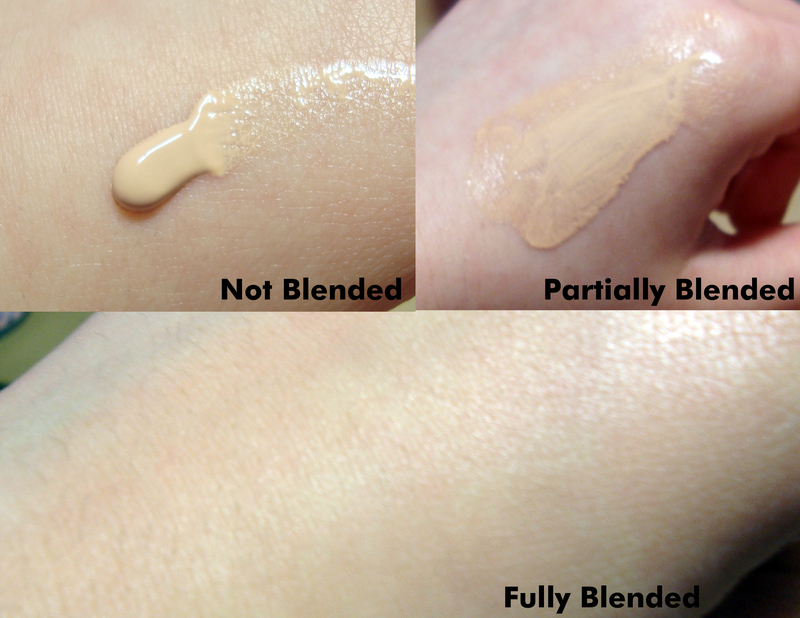 In the tube, this concealer has a very creamy and liquid consistency. The unusual aspect however, is that it creates a powder-like finish after it dries. This is great for those of you will oily skin because there’s no worry about looking shiny. Another plus is that this product does not tend to look cakey on the skin. This is because only a small amount of product is required for every application. 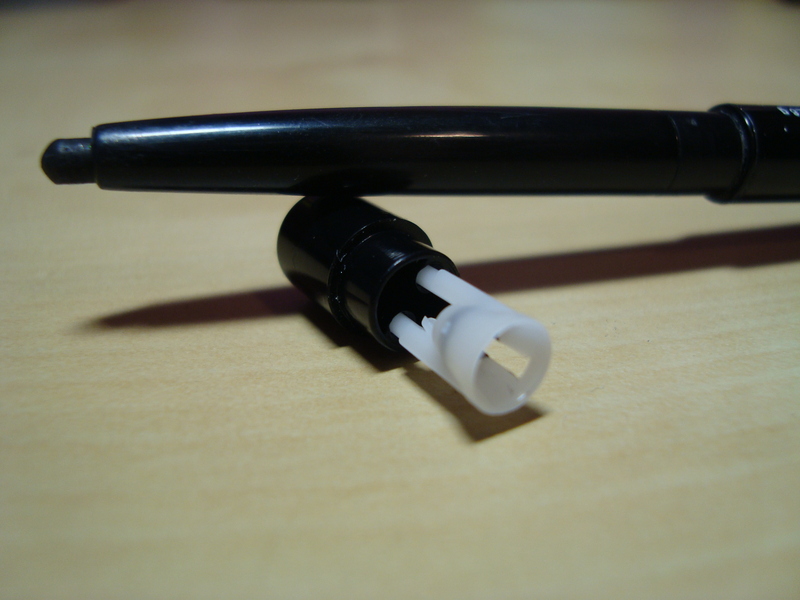 One thing that stood out to me when I first purchased the product is there was a lot of empty space in the tube. At first I was disappointed with this considering the steep price, but later realized that the 6mL lasts a VERY long time. With this product, less is more! This concealer is probably the most pigmented and capable of covering the most imperfections, of all the concealers I have ever used. 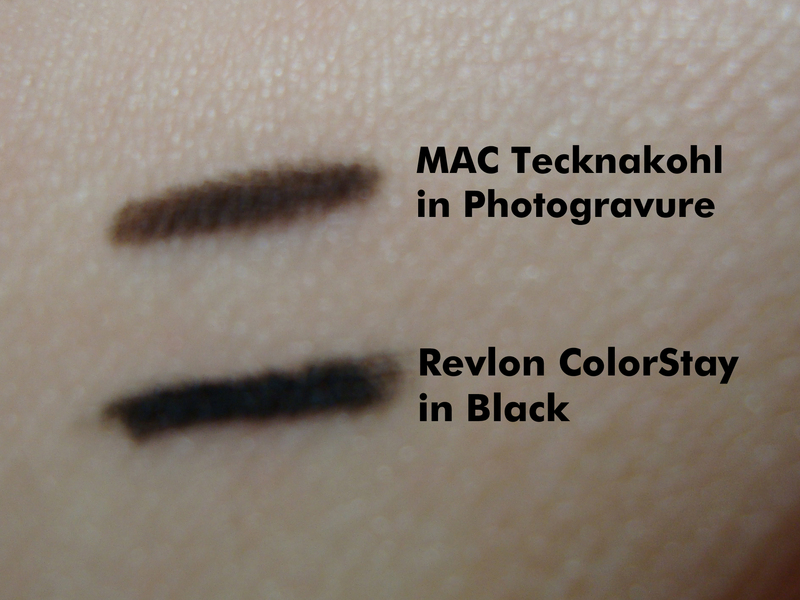 It takes a few tries to get the hang of how much product is required for each application, but after the trial period, it is very simple to cover even the darkest areas. This product comes in a matte black tube. Nothing really special about it. My experience with this product is that there was no problem with this product travelling on my skin. However, it does slightly fade as the day goes on. Last holiday season, I managed to get my hands on the EOS Lip Balm Smooth Sphere Holiday Pack. It consisted of three of their signature egg-shaped lip balms: strawberry sorbet, sweet mint, and passion fruit. Knowing where I live, I did not expect to see these lip balms at all. So when I saw them, I jumped at the chance to discover whether they really are as good as the hype. It seemed to me that part of the hype surrounding this product had to do with its amazing moisturizing properties. I don’t necessarily agree with that. I honestly do not think that this lip balm is more moisturizing than any other. To me, the moisturizing properties of all lip balms are too similar to make any distinction at all. Before I started using the EOS, I was using the Maybelline Baby Lips tinted lip balm which had a really creamy and glossy texture. The actual product of the EOS is more dense and does not give your lips a glossy texture or sheen. I’ll admit, I would have purchased this product based on packaging alone. I mean, who could resist such a unique and interesting egg-shape? The packaging is also very good quality and sturdy. The problems with the packaging arise if you’re like me and like to place a million lip products in your pockets. You really can’t do this with the EOS. But that’s just a minor setback. As far as the smell goes, I am really impressed by the range of scents the lip balms come in. My favourite smell so far is passion fruit (purple). Sometime, I accedentally lick part of my lips with this product on. The taste of the passion fruit is actually pretty amazing! It’s sweet like candy. (Although, I don’t advise that you wear this product for this purpose alone.) I find that after I wipe the product off my lips, the taste still lingers around. Do I recommend this? Yes. Not for the product, but because of the packaging! Main Pro: Design of Packaging… It’s a great conversation starter! Main Con: The actual lip balm is nothing special. And did I mention all the celebrities who have been spotted using this product!?! 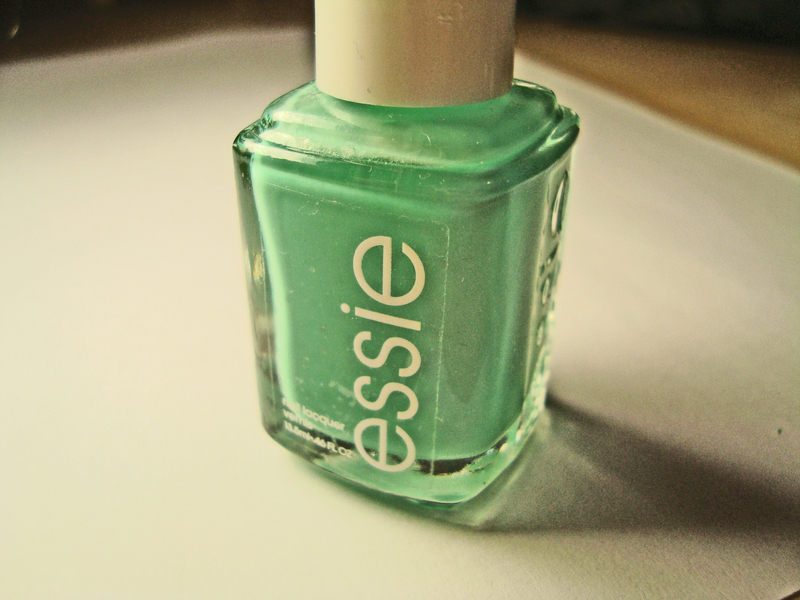 Essie “Turquoise and Caicos” Review and Swatches! To view a review of the Laura Mercier Tinted Moisturizer Oil-Free, click here. 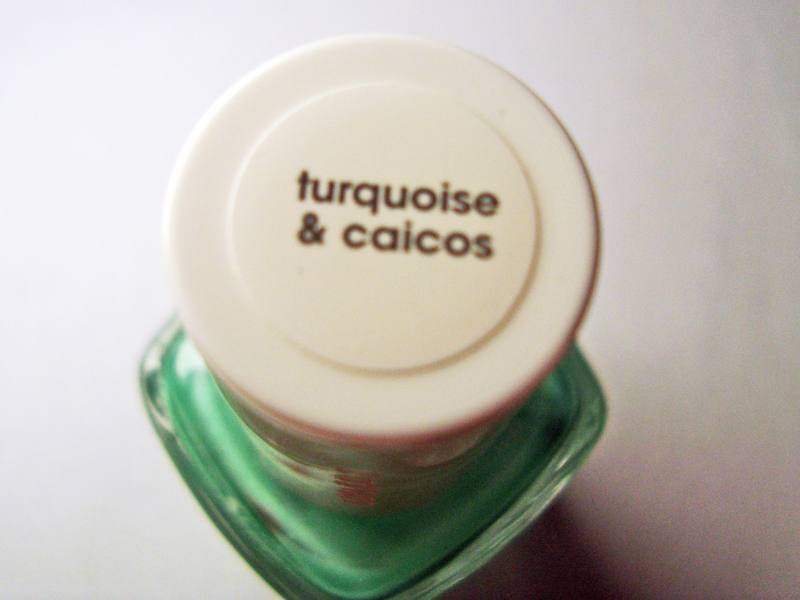 Essie’s “Turquoise and Caicos” was first released in their Resort 2010 collection and has been added to their permanent line in response to its popularity. This colour is famous for being known as the “perfect Tiffany blue” colour. Although I believe it is more on the green side, it is still a beautiful polish for spring and summer. Essie nail polishes generally require two coats to become 100% opaque and this one was no exception. However, if only one coat is applied, the polish may look very uneven and streaky. I loved the texture of this Essie polish. The formula was the perfect consistency in the way that it wasn’t too runny or thick. It allowed you to paint a thin, precise, and even coat without bumps. The brush in Essie polishes are not the best. 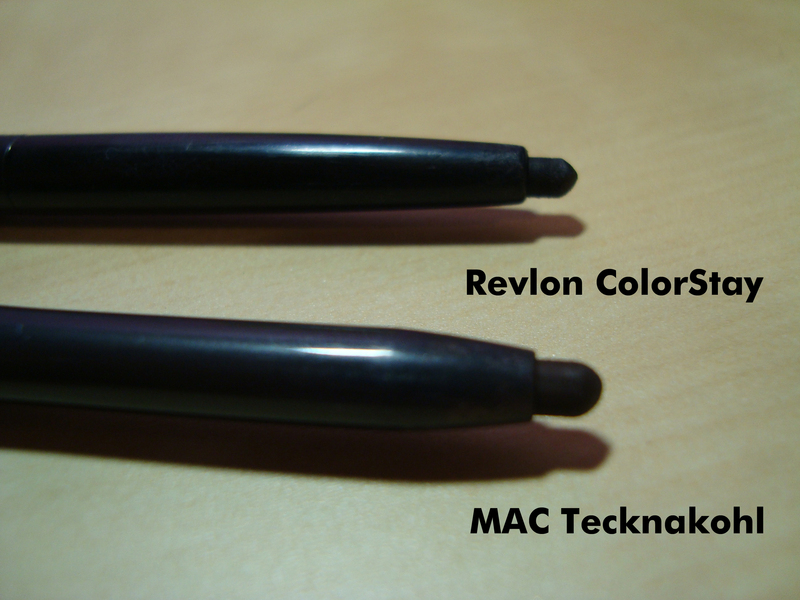 There is nothing special about the shape of the brush and the lid is too small to have a good grip on the handle. But for those of you who have smaller nails, this brush may be just what you need to get into the tight corners. Will I be repurchasing this product? Yes. Do I recommend this? Yes. Main Pro: The colour is very unique and perfect for the warmer months. Main Con: Brush is small and mediocre.